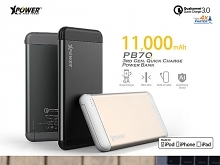 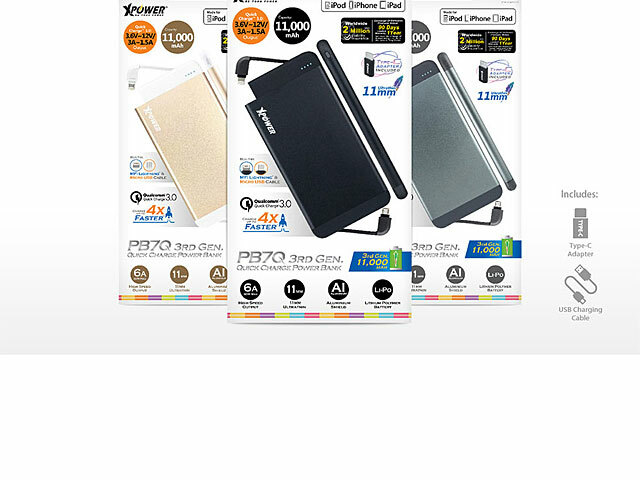 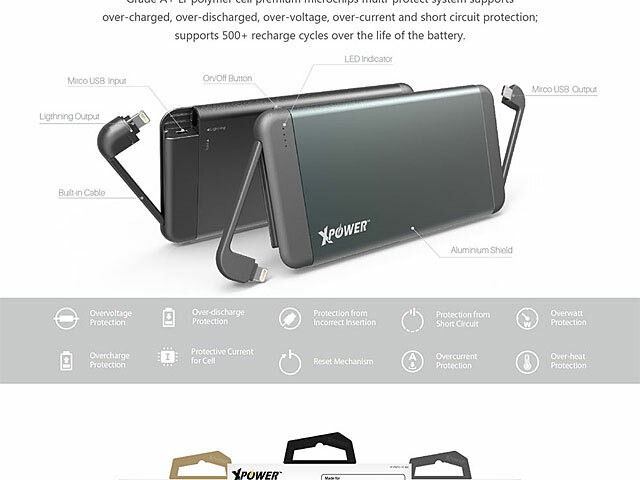 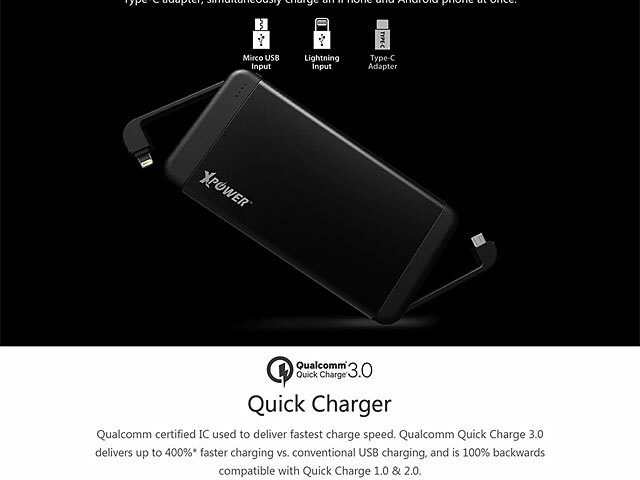 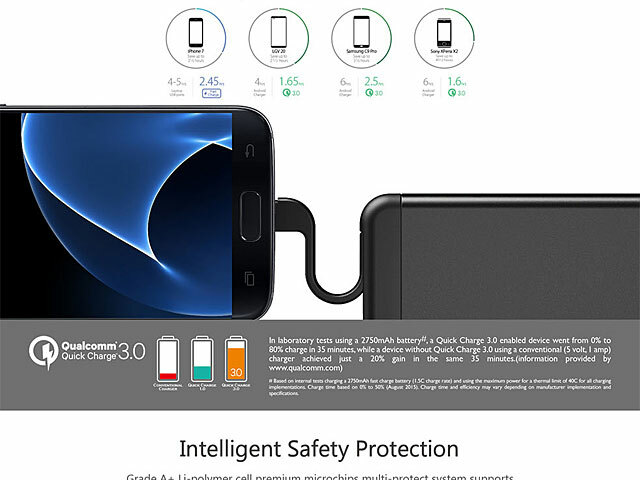 Xpower PB7Q Quick Charge 3.0 Power Bank 11000mAh is super slim Power Bank, only 11mm thickness. 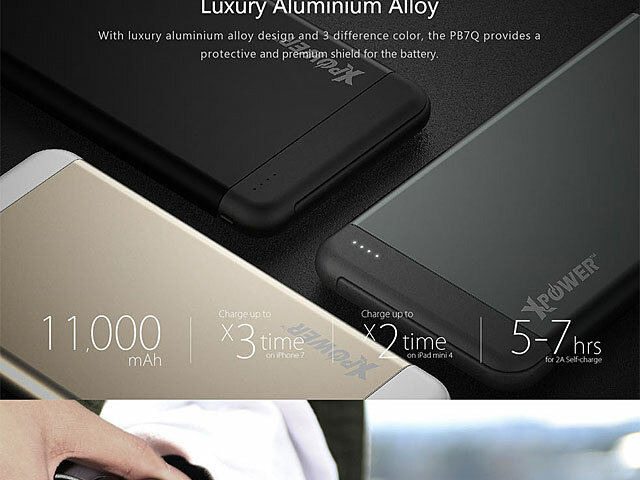 Built-in high capacity 11,000mAh Li-Polymer rechargeable battery. 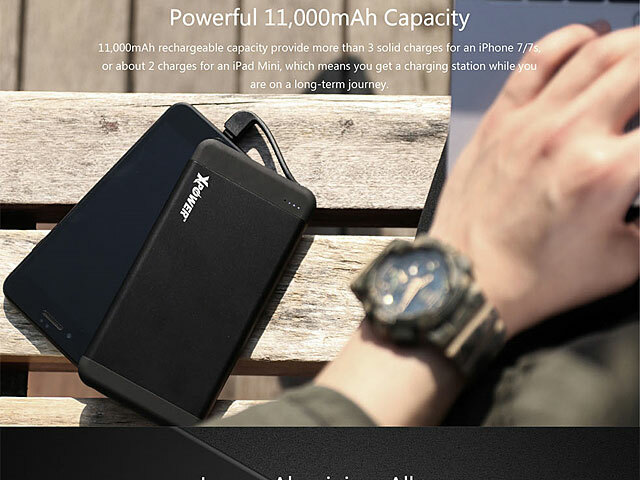 With MFi Lightning & micro USB charging port allows you to charge 2 devices at the same time. 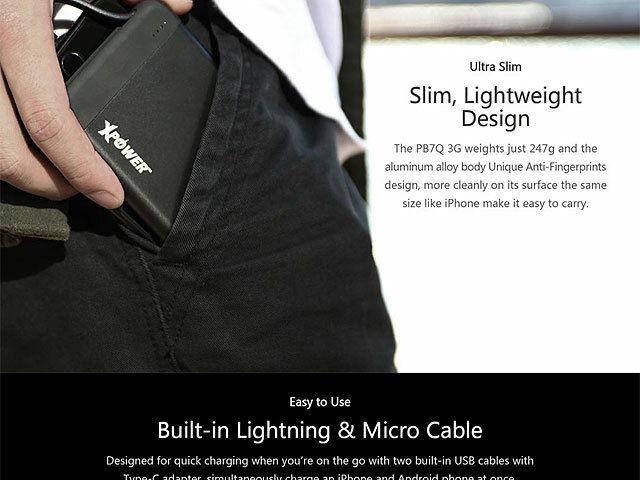 Compact and light weight design for portability and easy to fit into your pocket or bag.